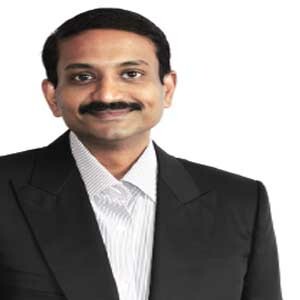 Bharat Raj Dhanala, CEO Worldwide telecom operators largely rely on System Integrators (SI) to support their various end-to-end telecommunication services. However, majority of these SI’s available, provide generic software solutions which are deployed across domains, and fails to address the core telecom complexities, leaving the operators in lurch. Diksha’s founding members identified this gap and constituted Diksha Technologies in the year 2000 with an ideology of providing the telecom operators with a pure-play telecom focused company operating in the billing space. “With our proprietary tools and products, Diksha addresses telecom specific problems in the most apt manner,” says Bharat Raj Dhanala, CEO, Diksha Technologies. Headquartered in Mount Laurel, NJ, Diksha Technologies is a product development and service provider focusing in Telecom Billing, CRM and Enterprise Integration. The company offers products that address the niche requirement of functional integration. “In the current market scenario, there are very few telecom focused companies and there are even lesser companies with such high competence levels in the Business Support Systems (BSS) or Opera tions Support Systems (OSS) domain like us,” claims Dhanala. The company’s solutions are based on two critical aspects– People & Technology. Diksha assigns the best consultants on the job, along with the company’s proprietary solutions. This reduces the required number of people on the job that in turn reduces the customers’ cost and makes the system as efficient as possible with better use of technology. “We build new tools or utilize one of our Intellectual Property (IP) tools or products to supplement the consulting teams to ensure customer’s success. The long term goal of our solutions is to reduce the personnel dependency through automation. Apart from the cost reduction, these solutions are targeted towards reducing the delivery timeline and providing a most technologically advanced solution,” says Dhanala. Diksha Technologies’ flagship product, ‘Deploy’ helps to functionally integrate various systems in a Telco eco-system by providing enterprisewide data flow management and integrations. Along with this, Diksha also provides innovative products in the areas of field force automation, payment solutions and interactive invoices, simplifying complex OSS/BSS tasks. Diksha has been helping many large telecom operators in extending their OSS/BSS onto mobile platforms with custom built Enterprise Mobility Solutions. Diksha Technologies differentiates itself with its extensive investment in the R&D activities to provide most technologically advanced products and solutions. The company utilizes its deep understanding of the industry trends to develop these products as a part of their solutions, which combined with the high performing teams, provides a best-in-class solution to the customer. “As a practice, to maintain the highest standards of delivery we don’t shy away from innovating and customizing our services and products. This unique combination of highly skilled consulting teams and highly efficient products/tools is the distinguishing factor for Diksha in the industry,” adds Dhanala. Since the past 14 years, Diksha Technologies has been serving the telecom industry by its solutions and services. For instance, a leading Indian multi service operator with over 10 million subscribers was facing difficulties in keeping track of the activities and flow of data from personnel to personnel or team to team, leading to reduced productivity and higher cost of operations. After contacting Diksha Technologies, and implementing deploy, the company was able to reduce service delivery timeline from 8 to 3 working days, with 97 percent adherence to SLA, and an increased workforce utilization. With strong focus on innovative products, Diksha Technologies wants to see itself driving the change in telecom software industry with BSS technology convergence and advanced customer centric solutions. “Diksha has a comprehensive global footprint with customers ranging from small islands to large continents. With a vision to strengthen this global presence, we will continue penetrating deeper into geographical regions,” asserts Dhanala. A product development and services organization focusing on Telecom Billing, CRM and Enterprise Integration.